Shortly after those words left my mouth, I heard a strange sound coming from my right across the river. I could not place it — it sounded like a duck, but also like a crow. A few minutes passed, and then I saw it — a young great blue heron flying low over the river, heading towards that beautifully lit spot. 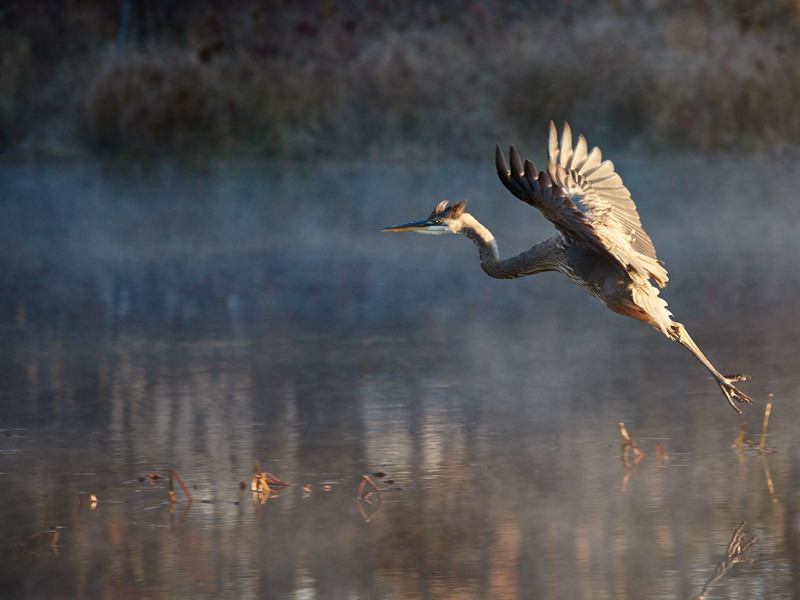 Seeing the spot, the heron began to pull its chest up, throwing its legs forward and dangling them toward the shore. 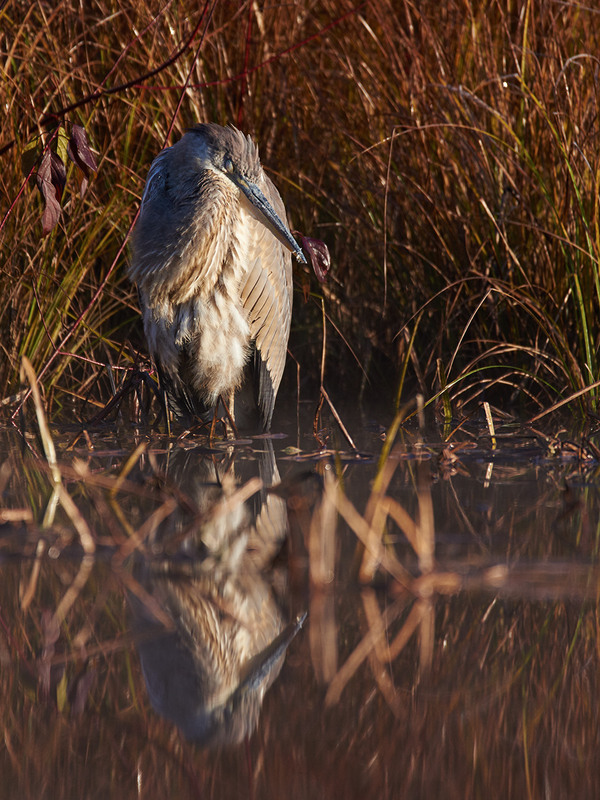 The heron landed in the exact spot that I had hoped for, and began a long course of preening. 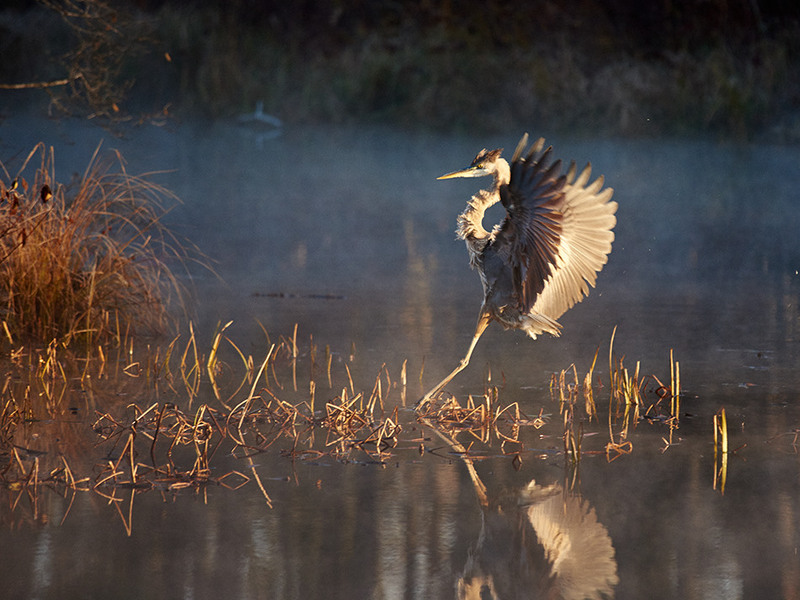 Having finished preening, the great blue heron lifted its right leg up towards its body, shifting all of its weight onto its left leg. With the warmth of the early morning sun hitting its chest, the heron eventually closed its eyes for an early morning nap.